We are in the process of reviewing the publications related to pulmonary delivery of clodronate liposomes. This discussion will be updated with any pertinent information as we continue the review. A clodronate liposome suspension can be delivered directly to the lungs in order to deplete alveolar macrophages and other pulmonary phagocytic cells (i.e. interstitial macrophages) without any reported effects on phagocytic cells outside the lungs. Unlike systemic administration, intratracheal administration of free clodronate at higher doses has also been shown to also deplete alveolar macrophages. However, endothelial cells were morphologically changed after free clodronate treatment introducing the possibility of inflammatory responses from these cells which could confound data from these studies. Therefore, liposomal clodronate remains as the preferred method for selectively depleting alveolar macrophages. Another complicating factor with the free clodronate response is the fact that at least 1 method of pulmonary delivery (aerosolization by nebulizer) is known to disrupt liposomes similar to those used to encapsulate clodronate. 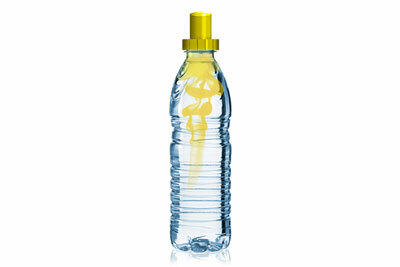 Therefore, appropriate control experiments should be included when using aerosols produced with nebulizers. Secondly, several studies have shown that various formulations of clodronate liposomes leak especially when introduced into a biological medium such as serum. Thus, all macrophage depletion studies should take into account the potential for free clodronate being released from liposomes immediately after dosing with liposomal clodronate. Intravenous dosing has also been shown to deplete over 60% of alveolar macrophages in mice 48 hours post-treatment, while a combination of intracheal injection and i.v. dosing resulted in over 90% depletion. There are 4 general methods for direct administration of clodronate liposomes to the lung. Aerosol administration, intratracheal admininstration, nasal instillation, and pharyngeal aspiration and their variations are discussed in detail. All of these methods have pros and cons, but ≥ 90% depletion of alveolar macrophages is attainable in several models either with pulmonary administration alone or in combination with systemic administration. The lining of the lungs is a mucosal surface directly accessible by environmental toxins and pathogens. Therefore, phagocytic cells patrol the pulmonary space awaiting attack by particulate materials, virus, bacteria or chemical agents. Alveolar macrophages (AM) are the most common targets for depletion, although pulmonary dendritic cells (DC) and interstitial macrophages (IM) have been reported to be depleted by clodronate liposomes . Although known to phagocytose liposomes, neutrophils (PMN) are not killed by clodronate liposomes , but explanations as to why PMN are not killed remain hypothetical. Reports vary as to whether or not other types of phagocytic cells are killed by clodronate liposomes. This may have to do with the fact that other cell types only become phagocytic under certain conditions such as complement activation  or that clodronate liposomes do not have access to some phagocytic cells in vivo . Free clodronate depletes as well, but with a caveat. A major difference in the delivery of clodronate, free or liposomal, to the lung is that free clodronate, at sufficient concentrations, has been shown to be just as effective as encapsulated clodronate in depleting alveolar macrophages. However, the free clodronate can also induces morphological changes in pulmonary endothelial cells and may even increase the influx of PMN compared to clodronate liposomes, perhaps due to the release of inflammatory mediators by the damaged endothelial cells . Free clodronate depletion was confirmed in vitro for cultured rat alveolar macrophages by these authors and free clodronate also has demonstrated in vitro growth inhibition to the RAW 264 cell line . While the in vitroresults are not unexpected, the in vivo effects of free clodronate in the lung may require some changes in the dosing paradigm. Incidental release of clodronate from liposomes or dying macrophages have been postulated as potential sources of free clodronate with systemic adminstration, but free clodronate’s preclinical and clinical profile from oral or i.v. dosing confirms that it has very limited bioavailability and no substantial effects on tissue other than bone . Berg, et al. speculate that free clodronate does not affect other cells when dosed systemically due to its extremely short half-life in serum, but free clodronate does not readily cross the relatively tight and selective blood-gas barrier in the lung. Therefore, free clodronate may establish a sufficient concentration to either kill or adversely effect susceptible cells in the lung. If this speculation were true, there are at least two other factors which may contribute to the accumulation of free clodronate in the lung. Beware of the effects of nebulization on clodronate liposomes. First, none the authors employing nebulization confirmed that their clodronate liposome formulations were stable to the process; more details are presented below. Based on nebulization studies referenced in that discussion, it is possible, if not probable, that the liposome preparations from each of these studies will release some of the encapsulated clodronate during nebulization. Although the total clodronate concentration delivered should not change, less than 95-100% of the clodronate will be encapsulated depending on what proportion of the liposomes are disrupted by nebulization. It is impossible to predict the resulting ratio of free-to-encapsulated clodronate because not only are the liposomes being disrupted, they are also reforming at different sizes and number of lamellae. Thus, the amount of clodronate encapsulated, which is dependent on the morphology of the liposomes (primarily size distribution and lamellarity), as well as the concentration of clodronate in which the liposomes form, will almost certainly be different from the initial preparation (pre-nebulization). In summary, both free and encapsulated clodronate is dosed in the aerosol. 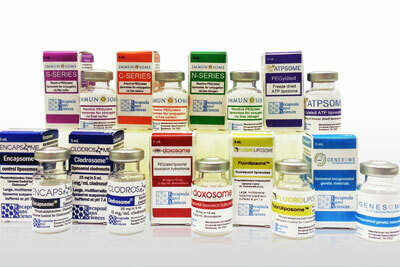 If the concentration of free clodronate is in the range shown to not only kill macrophages, but also affect other (i.e. endothelial, other?) pulmonary cells, any results could be confounded by the potential contribution of inflammatory responses from those cells. Hashimoto, et al. state that they see no histological anomalies with either free or encapsulated clodronate, but their estimation of the total amount of clodronate delivered to the lung in their study is much less than the amount of free clodronate Berg, et al. dosed by intratracheal instillation. Clodronate liposomes are inherantly “leaky”…and should be. Second, early studies on liposomal and free clodronate biodistribution in mice confirm that free clodronate is not retained in liver, spleen, lungs or blood . Furthermore, in vitro leakage assessment of clodronate from liposomal formulations confirm that 20% or more of the clodronate is released from liposomes either in storage (presumably at 4°C) or immediately upon dilution (1:20) in saline or human serum. While serum did initially have a substantial influence on clodronate leakage (+ 15%), this effect diminished with time so that the % clodronate released from the liposomes at 3 hours either in buffer or serum were similar. Therefore, the van Rooijen clodronate liposome formulation used in the majority of published studies on macrophage depletion released at least 35% of the entrapped clodronate immediately after injection or instillation and clodronate continued to leak from the liposomes so that ~60% was released at 30 minutes. The leakage profiles presented in this paper strongly suggest that clodronate would continue to leak rapidly in an “infinite dilution” environment such as after intravenous injection. While leaky liposomes have been given the so-called “bad name”, this is another case (the number of cases continues to grow) where there is demonstrated efficacy despite the rather rapid release of the drug in the bloodstream. In fact, clodronate liposomes belongs to a more elite group of liposome formulations in which leakiness corresponds to efficacy. Mönkkönen, et al. [10, 11] reported a systematic study on DSPC/DSPG/Chol liposomes encapsulating clodronate investigating the effects of size and charge (modulated by increasing amounts of DSPG) on encapsulation and efficacy. A very important result from this study was that DSPC/Chol clodronate liposomes (shown to leak very little in serum) did not inhibit the growth of the RAW 264 cells up to 100 µM clodronate (29 µg/ml) while the IC 50 (clodronate concentration at which 50% cell growth is inhibited compared to control) of the DSPC/DSPG/Chol formulations were all less than 10 µM. DSPC/Chol (66:33) clodronate liposomes are not effective at inhibiting the growth of RAW 264 macrophages 100 µM clodronate (29 µg/ml). DSPC/DSPG/Chol clodronate liposomes, in which (DSPC+DSPG) = 66 mole% / Chol = 33 mole% AND DSPG ≥ 25 mole% in the (DSPC+DSPG) mixture, completely inhibit the growth of RAW 264 macrophages at 100 µM clodronate. The analogous formulations containing DSPG (as described in point 2.) under the conditions described in point 3. release 40-80% of their contents over this time period. When the van Rooijen EPC/Chol clodronate liposome formulation was included in this RAW 264 growth inhibition assay, no effect was observed in the 0-100 µM range. It is difficult to directly compare van Rooijen’s RAW 264 growth inhibition assay results to these because van Rooijen, et al. (1988) do not state the actual clodronate concentration used in these assays, nor did they report an IC 50 . If we assume that the clodronate concentration in the preps based on the typical 20 mg clodronate/4 ml liposomes, their clodronate concentration range is 7-277 µM and the IC 50 is just under 10 µM. While this value is in the same range that Mönkkönen, et al. reported for their DSPC/DSPG/Chol preparations (and no activity for the van Rooijen formulation), we are assuming the clodronate concentration and the IC 50 is in the steep region of the growth curve (IC 40 = 4 µM, IC 60 = 24 µM). Studies have shown that intravenous administration of clodronate liposomes for systemic macrophage depletion also depletes a significant portion of alveolar macrophages. For example, Koay, et al. reported that intravenous injection of clodronate liposomes (200 µl X 5 mg/ml) resulted in a significant depletion (66%) of AM in bronchial alveolar lavage fluid (BALF) 48 hours post-treatment, while intratracheal injection (100 µl X 4-5 mg/ml depleted 77% of the AM . When the C57BL/6 mice were dosed by both routes (100 µl i.t. + 200 µl i.v. ), 90% of the AM were depleted. Therefore, systemic administration of clodronate liposomes can supplement intrapulmonary administration if sufficient depletion is not achieved by pulmonary dosing alone as has been discussed for other methods of local depletion. There are 4 categories of published methods for delivering clodronate liposomes to the lung as listed in the tabs below. The number of papers listed for each method is taken from the database which was last updated on 09/23/11. A review comparing some of these methods provides useful descriptions and limitations of each method , but the conclusions are somewhat different than the data in these database papers provide. Since the author did not include a discussion on the delivery of liposomes or other nanoparticles, the conclusions are expected to be skewed from those including pulmonary delivery of particles. One method which has not been reported as utilized to deliver clodronate liposomes, direct visual instillation (DVI), appears to warrant further investigation as it is much more efficient in delivering 125 I-albumin to the lung when compared to nasal instillation and intratracheal injection (92%, 77% and 48% respectively) . This method also demonstrates an almost complete access to all parts of the lung by Evans blue dye when the appropriate parameters are applied to this endoscopic technique. Intranasal administration can be an effective method of delivery to the lungs provided that the administration method is optimized for delivery of the instilled suspension to the lower respiratory tract. At least 48 publications report using intranasal instillation for depleting alveolar macrophages. Southam, et al. found that larger volumes (optimal in this study = 35 µl) instilled (by Pipetman) into lightly anesthetized mice resulted in 50% or more of the total recovered dose appearing in the lungs. This study was performed by tracking a radioactive sulfur colloid; the authors did not report the efficiency of the delivery (amount recovered/amount delivered) therefore, do not confuse the 50% recovered dose with 50% of the delivereddose. These results generally support some of the findings in earlier reports on intranasal administration of Evans blue dye  and tetanus toxin . Of particular importance in all studies, the administration of small volumes (5 µl) did not deliver any instillate to the lungs. The proportion of colloid appearing in the lung increased as a function of volume dosed almost linearly until an apparent saturation between 25 and 50 µl dosed. Details of the method of intranasal administration are often not disclosed in papers, therefore when planning to deplete alveolar macrophages using intranasal instillation, careful consideration of the volume instilled and other details is necessary. As Southam, et al. point out in their paper, particles other than the sulfur colloid may behave differently when instilled intranasally and Visweswaraiah, et al. confirm the interspecies variability in their study. Ideally, pilot experiments evaluating the efficiency of delivery to the lung using fluorescent clodronate (or clodronate control) liposomes should be performed to optimize and/or validate the chosen method especially when translating the method to another species. In many papers, the authors have used the term “clodronate” interchangeably with “clodronate liposomes” throughout the paper. While clodronate is the active ingredient in clodronate liposomes, this entire website and thousands of publications have resulted from the differences in biological activities between a solution of clodronate and a suspension of clodronate liposomes. Given the discussion above on the potential complications generated by a mixture of free clodronate and encapsulated clodronate within a single suspension, it is imperitive that “clodronate”, or better, “free clodronate”, only be used to describe a clodronate solution and “clodronate liposomes”, “liposomal clodronate” or “encapsulated clodronate” (or Clodrosome, if appropriate) be used whenever liposomally encapsulated clodronate is being described. 1. Ayala VI, Teijaro JR, Farber DL, Dorsey SG, Carbonetti NH. Bordetella pertussis infection exacerbates influenza virus infection through pertussis toxin-mediated suppression of innate immunity. PLoS one. 2011 Apr 20;6(4):e19016. 2. Borders AS, Getchell ML, Etscheidt JT, Van Rooijen N, Cohen DA, Getchell TV. Macrophage depletion in the murine olfactory epithelium leads to increased neuronal death and decreased neurogenesis. Journal of Comparative Neurology. 2007 Mar 10;501(2):206-18. 3. Carbonetti NH, Artamonova GV, Van Rooijen N, Ayala VI. Pertussis toxin targets airway macrophages to promote Bordetella pertussis infection of the respiratory tract. Infection and immunity. 2007 Apr 1;75(4):1713-20. 4. Claudio E, Sønder SU, Saret S, Carvalho G, Ramalingam TR, Wynn TA, Chariot A, Garcia-Perganeda A, Leonardi A, Paun A, Chen A. The adaptor protein CIKS/Act1 is essential for IL-25-mediated allergic airway inflammation. The Journal of Immunology. 2009 Feb 1;182(3):1617-30. 5. Cote CK, Rea KM, Norris SL, van Rooijen N, Welkos SL. The use of a model of in vivo macrophage depletion to study the role of macrophages during infection with Bacillus anthracis spores. Microbial pathogenesis. 2004 Oct 1;37(4):169-75. 6. Cote CK, Van Rooijen N, Welkos SL. Roles of macrophages and neutrophils in the early host response to Bacillus anthracis spores in a mouse model of infection. Infection and immunity. 2006 Jan 1;74(1):469-80. 7. Dockrell DH, Marriott HM, Prince LR, Ridger VC, Ince PG, Hellewell PG, Whyte MK. Alveolar macrophage apoptosis contributes to pneumococcal clearance in a resolving model of pulmonary infection. The Journal of Immunology. 2003 Nov 15;171(10):5380-8. 8. Goebel EM, Wolfe DN, Elder K, Stibitz S, Harvill ET. O antigen protects Bordetella parapertussis from complement. Infection and immunity. 2008 Apr 1;76(4):1774-80. 9. Guerrero A, Jain N, Wang X, Fries BC. Cryptococcus neoformans variants generated by phenotypic switching differ in virulence through effects on macrophage activation. Infection and immunity. 2010 Mar 1;78(3):1049-57. 10. Haeberle HA, Takizawa R, Casola A, Brasier AR, Dieterich HJ, Van Rooijen N, Gatalica Z, Garofalo RP. Respiratory syncytial virus–induced activation of nuclear factor–κB in the lung involves alveolar macrophages and toll-like receptor 4–dependent pathways. The Journal of infectious diseases. 2002 Nov 1;186(9):1199-206. 11. Huang FF, Barnes PF, Feng Y, Donis R, Chroneos ZC, Idell S, Allen T, Perez DR, Whitsett JA, Dunussi-Joannopoulos K, Shams H. GM-CSF in the lung protects against lethal influenza infection. American journal of respiratory and critical care medicine. 2011 Jul 15;184(2):259-68. 12. Ibrahim-Granet O, Jouvion G, Hohl TM, Droin-Bergère S, Philippart F, Kim OY, Adib-Conquy M, Schwendener R, Cavaillon JM, Brock M. In vivo bioluminescence imaging and histopathopathologic analysis reveal distinct roles for resident and recruited immune effector cells in defense against invasive aspergillosis. BMC microbiology. 2010 Dec;10(1):105. 13. Jakubzick C, Tacke F, Llodra J, van Rooijen N, Randolph GJ. Modulation of dendritic cell trafficking to and from the airways. The Journal of Immunology. 2006 Mar 15;176(6):3578-84. 14. Kechichian TB, Shea J, Del Poeta M. Depletion of alveolar macrophages decreases the dissemination of a glucosylceramide-deficient mutant of Cryptococcus neoformans in immunodeficient mice. Infection and immunity. 2007 Oct 1;75(10):4792-8. 15. Kim HM, Lee YW, Lee KJ, Kim HS, Cho SW, Van Rooijen N, Guan Y, Seo SH. Alveolar macrophages are indispensable for controlling influenza viruses in lungs of pigs. Journal of virology. 2008 May 1;82(9):4265-74. 16. Kirimanjeswara GS, Golden JM, Bakshi CS, Metzger DW. Prophylactic and therapeutic use of antibodies for protection against respiratory infection with Francisella tularensis. The Journal of Immunology. 2007 Jul 1;179(1):532-9. 17. Knapp S, Schultz MJ, van der Poll T. Pneumonia models and innate immunity to respiratory bacterial pathogens. Shock. 2005 Dec 1;24:12-8. 18. Koh AY, Priebe GP, Ray C, Van Rooijen N, Pier GB. Inescapable need for neutrophils as mediators of cellular innate immunity to acute Pseudomonas aeruginosa pneumonia. Infection and immunity. 2009 Dec 1;77(12):5300-10. 19. Kostina E, Ofek I, Crouch E, Friedman R, Sirota L, Klinger G, Sahly H, Keisari Y. Noncapsulated Klebsiella pneumoniae bearing mannose-containing O antigens is rapidly eradicated from mouse lung and triggers cytokine production by macrophages following opsonization with surfactant protein D. Infection and immunity. 2005 Dec 1;73(12):8282-90. 20. Kurowska-Stolarska M, Stolarski B, Kewin P, Murphy G, Corrigan CJ, Ying S, Pitman N, Mirchandani A, Rana B, van Rooijen N, Shepherd M. IL-33 amplifies the polarization of alternatively activated macrophages that contribute to airway inflammation. The Journal of Immunology. 2009 Nov 15;183(10):6469-77. 21. Lee AM, Fryer AD, Van Rooijen N, Jacoby DB. Role of macrophages in virus-induced airway hyperresponsiveness and neuronal M2 muscarinic receptor dysfunction. American Journal of Physiology-Lung Cellular and Molecular Physiology. 2004 Jun;286(6):L1255-9. 22. Leemans JC, Juffermans NP, Florquin S, van Rooijen N, Vervoordeldonk MJ, Verbon A, van Deventer SJ, van der Poll T. Depletion of alveolar macrophages exerts protective effects in pulmonary tuberculosis in mice. The Journal of Immunology. 2001 Apr 1;166(7):4604-11. 23. Manicone AM, Birkland TP, Lin M, Betsuyaku T, Van Rooijen N, Lohi J, Keski-Oja J, Wang Y, Skerrett SJ, Parks WC. Epilysin (MMP-28) restrains early macrophage recruitment in Pseudomonas aeruginosa pneumonia. The Journal of Immunology. 2009 Mar 15;182(6):3866-76. 24. Martin FJ, Parker D, Harfenist BS, Soong G, Prince A. Participation of CD11c+ leukocytes in methicillin-resistant Staphylococcus aureus clearance from the lung. Infection and immunity. 2011 May 1;79(5):1898-904. 25. McGill J, Van Rooijen N, Legge KL. Protective influenza-specific CD8 T cell responses require interactions with dendritic cells in the lungs. Journal of Experimental Medicine. 2008 Jul 7;205(7):1635-46. 26. McGill J, Van Rooijen N, Legge KL. IL-15 trans-presentation by pulmonary dendritic cells promotes effector CD8 T cell survival during influenza virus infection. Journal of Experimental Medicine. 2010 Mar 15;207(3):521-34. 27. Murphy EA, Davis JM, Brown AS, Carmichael MD, Carson JA, Van Rooijen N, Ghaffar A, Mayer EP. Benefits of oat β-glucan on respiratory infection following exercise stress: role of lung macrophages. American Journal of Physiology-Regulatory, Integrative and Comparative Physiology. 2008 May;294(5):R1593-9. 28. Murphy EA, Davis JM, Brown AS, Carmichael MD, Van Rooijen N, Ghaffar A, Mayer EP. Role of lung macrophages on susceptibility to respiratory infection following short-term moderate exercise training. American Journal of Physiology-Regulatory, Integrative and Comparative Physiology. 2004 Dec;287(6):R1354-8. 29. Phadke AP, Akangire G, Park SJ, Lira SA, Mehrad B. The role of CC chemokine receptor 6 in host defense in a model of invasive pulmonary aspergillosis. American journal of respiratory and critical care medicine. 2007 Jun 1;175(11):1165-72. 30. Pribul PK, Harker J, Wang B, Wang H, Tregoning JS, Schwarze J, Openshaw PJ. Alveolar macrophages are a major determinant of early responses to viral lung infection but do not influence subsequent disease development. Journal of virology. 2008 May 1;82(9):4441-8. 31. Qiu H, Fan Y, Joyee AG, Wang S, Han X, Bai H, Jiao L, Van Rooijen N, Yang X. Type I IFNs enhance susceptibility to Chlamydia muridarum lung infection by enhancing apoptosis of local macrophages. The Journal of Immunology. 2008 Aug 1;181(3):2092-102. 32. Reed JL, Brewah YA, Delaney T, Welliver T, Burwell T, Benjamin E, Kuta E, Kozhich A, McKinney L, Suzich J, Kiener PA. Macrophage impairment underlies airway occlusion in primary respiratory syncytial virus bronchiolitis. The Journal of infectious diseases. 2008 Dec 15;198(12):1783-93. 33. Roscic-Mrkic B, Schwendener RA, Odermatt B, Zuniga A, Pavlovic J, Billeter MA, Cattaneo R. Roles of macrophages in measles virus infection of genetically modified mice. Journal of virology. 2001 Apr 1;75(7):3343-51. 34. Schnoeller C, Rausch S, Pillai S, Avagyan A, Wittig BM, Loddenkemper C, Hamann A, Hamelmann E, Lucius R, Hartmann S. A helminth immunomodulator reduces allergic and inflammatory responses by induction of IL-10-producing macrophages. The Journal of Immunology. 2008 Mar 15;180(6):4265-72. 35. Sedger LM, Hou S, Osvath SR, Glaccum MB, Peschon JJ, van Rooijen N, Hyland L. Bone marrow B cell apoptosis during in vivo influenza virus infection requires TNF-α and lymphotoxin-α. The Journal of Immunology. 2002 Dec 1;169(11):6193-201. 36. Sheahan T, Morrison TE, Funkhouser W, Uematsu S, Akira S, Baric RS, Heise MT. MyD88 is required for protection from lethal infection with a mouse-adapted SARS-CoV. PLoS pathogens. 2008 Dec 12;4(12):e1000240. 37. Song JM, Wang BZ, Park KM, Van Rooijen N, Quan FS, Kim MC, Jin HT, Pekosz A, Compans RW, Kang SM. Influenza virus-like particles containing M2 induce broadly cross protective immunity. PloS one. 2011 Jan 18;6(1):e14538. 38. Sun K, Metzger DW. Inhibition of pulmonary antibacterial defense by interferon-γ during recovery from influenza infection. Nature medicine. 2008 May;14(5):558. 39. Tang C, Inman MD, van Rooijen N, Yang P, Shen H, Matsumoto K, O’Byrne PM. Th type 1-stimulating activity of lung macrophages inhibits Th2-mediated allergic airway inflammation by an IFN-γ-dependent mechanism. The Journal of Immunology. 2001 Feb 1;166(3):1471-81. 40. Tate MD, Pickett DL, van Rooijen N, Brooks AG, Reading PC. Critical role of airway macrophages in modulating disease severity during influenza virus infection of mice. Journal of virology. 2010 Aug 1;84(15):7569-80. 41. Tumpey TM, García-Sastre A, Taubenberger JK, Palese P, Swayne DE, Pantin-Jackwood MJ, Schultz-Cherry S, Solórzano A, Van Rooijen N, Katz JM, Basler CF. Pathogenicity of influenza viruses with genes from the 1918 pandemic virus: functional roles of alveolar macrophages and neutrophils in limiting virus replication and mortality in mice. Journal of virology. 2005 Dec 15;79(23):14933-44. 42. Wang J, Barke RA, Charboneau R, Schwendener R, Roy S. Morphine induces defects in early response of alveolar macrophages to Streptococcus pneumoniae by modulating TLR9-NF-κB signaling. The Journal of Immunology. 2008 Mar 1;180(5):3594-600. 43. Wijburg OL, DiNatale S, Vadolas J, van Rooijen NI, Strugnell RA. Alveolar macrophages regulate the induction of primary cytotoxic T-lymphocyte responses during influenza virus infection. Journal of virology. 1997 Dec 1;71(12):9450-7. 44. Zhang Z, Clarke TB, Weiser JN. Cellular effectors mediating Th17-dependent clearance of pneumococcal colonization in mice. The Journal of clinical investigation. 2009 Jul 1;119(7):1899-909. 45. Zhang‐Hoover J, Sutton A, Van Rooijen N, Stein‐Streilein J. A critical role for alveolar macrophages in elicitation of pulmonary immune fibrosis. Immunology. 2000 Dec 1;101(4):501-11. 46. Zhao J, Zhao J, Van Rooijen N, Perlman S. Evasion by stealth: inefficient immune activation underlies poor T cell response and severe disease in SARS-CoV-infected mice. PLoS pathogens. 2009 Oct 23;5(10):e1000636. 1. McGill J, Van Rooijen N, Legge KL. Protective influenza-specific CD8 T cell responses require interactions with dendritic cells in the lungs. Journal of Experimental Medicine. 2008 Jul 7;205(7):1635-46. 2. Van Rooijen N, Sanders A. Liposome mediated depletion of macrophages: mechanism of action, preparation of liposomes and applications. Journal of immunological methods. 1994 Sep 14;174(1-2):83-93. 3. Mollnes TE, Brekke OL, Fung M, Fure H, Christiansen D, Bergseth G, Videm V, Lappegård KT, Köhl J, Lambris JD. Essential role of the C5a receptor in E coli–induced oxidative burst and phagocytosis revealed by a novel lepirudin-based human whole blood model of inflammation. Blood. 2002 Sep 1;100(5):1869-77. 4. Polfliet MM, Goede PH, van Kesteren-Hendrikx EM, van Rooijen N, Dijkstra CD, van den Berg TK. A method for the selective depletion of perivascular and meningeal macrophages in the central nervous system. Journal of neuroimmunology. 2001 Jun 1;116(2):188-95. 5. Berg JT, Lee ST, Thepen TH, Lee CY, Tsan MF. Depletion of alveolar macrophages by liposome-encapsulated dichloromethylene diphosphonate. Journal of Applied Physiology. 1993 Jun 1;74(6):2812-9. 6. van Rooijen N, Kors N, ter Hart H, Claassen E. In vitro and in vivo elimination of macrophage tumor cells using liposome-encapsulated dichloromethylene diphosphonate. Virchows Archiv B. 1987 Dec 1;54(1):241-5. 7. Hashimoto, S., Pittet, J.F., Hong, K., Folkesson, H., Bagby, G., Kobzik, L., Frevert, C., Watanabe, K., Tsurufuji, S. and Wiener-Kronish, J., 1996. Depletion of alveolar macrophages decreases neutrophil chemotaxis to Pseudomonas airspace infections. American Journal of Physiology-Lung Cellular and Molecular Physiology, 270(5), pp.L819-L828. 8. Yakatan GJ, Poynor WJ, Talbert RL, Floyd BF, Slough CL, Ampulski RS, Benedict JJ. Clodronate kinetics and bioavailability. Clinical Pharmacology & Therapeutics. 1982 Mar 1;31(3):402-10. 9. Buiting AM, Zhou F, Bakker JA, Van Rooijen N, Huang L. Biodistribution of clodronate and liposomes used in the liposome mediated macrophage ‘suicide’approach. Journal of immunological methods. 1996 Jun 10;192(1-2):55-62. 10. Mönkkönen J, Valjakka R, Hakasalo M, Urtti A. The effects of liposome surface charge and size on the intracellular delivery of clodronate and gallium in vitro. International journal of pharmaceutics. 1994 Jul 11;107(3):189-97. 11. Mönkkönen J, Liukkonen J, Taskinen M, Heath TD, Urtti A. Studies on liposome formulations for intra-articular delivery of clodronate. Journal of controlled release. 1995 Aug 1;35(2-3):145-54. 12. Koay MA, Gao X, Washington MK, Parman KS, Sadikot RT, Blackwell TS, Christman JW. Macrophages are necessary for maximal nuclear factor-κ B activation in response to endotoxin. American journal of respiratory cell and molecular biology. 2002 May 1;26(5):572-8. 13. Fernandes CA, Vanbever R. Preclinical models for pulmonary drug delivery. Expert opinion on drug delivery. 2009 Nov 1;6(11):1231-45. 14. Su X, Looney M, Robriquet L, Fang X, Matthay MA. Direct visual instillation as a method for efficient delivery of fluid into the distal airspaces of anesthetized mice. Experimental lung research. 2004 Jan 1;30(6):479-93. 15. Todoroff J, Vanbever R. Fate of nanomedicines in the lungs. Current opinion in colloid & interface science. 2011 Jun 1;16(3):246-54. 16. Niven RW, Schreier H. Nebulization of liposomes. I. Effects of lipid composition. Pharmaceutical research. 1990 Nov 1;7(11):1127-33. 17. Niven RW, Speer M, Schreier H. Nebulization of liposomes. II. The effects of size and modeling of solute release profiles. Pharmaceutical research. 1991 Feb 1;8(2):217-21. 18. Niven RW, Carvajal TM, Schreier H. Nebulization of liposomes. III. The effects of operating conditions and local environment. Pharmaceutical research. 1992 Apr 1;9(4):515-20. 19. Li Z, Zhang Y, Wurtz W, Lee JK, Malinin VS, Durwas-Krishnan S, Meers P, Perkins WR. Characterization of nebulized liposomal amikacin (Arikace™) as a function of droplet size. Journal of aerosol medicine and pulmonary drug delivery. 2008 Sep 1;21(3):245-54. 20. Koshkina NV, Waldrep JC, Roberts LE, Golunski E, Melton S, Knight V. Paclitaxel liposome aerosol treatment induces inhibition of pulmonary metastases in murine renal carcinoma model. 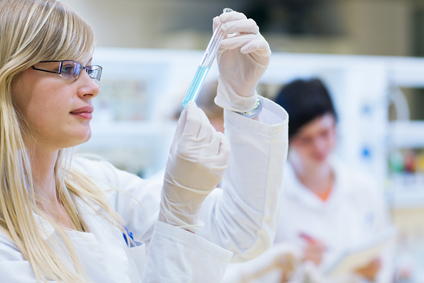 Clinical cancer research. 2001 Oct 1;7(10):3258-62. 21. Kooguchi K, Hashimoto S, Kobayashi A, Kitamura Y, Kudoh I, Wiener-Kronish J, Sawa T. Role of Alveolar Macrophages in Initiation and Regulation of Inflammation in Pseudomonas aeruginosaPneumonia. Infection and immunity. 1998 Jul 1;66(7):3164-9. 22. Elder AC, Gelein R, Oberdörster G, Finkelstein J, Notter R, Wang Z. Efficient depletion of alveolar macrophages using intratracheally inhaled aerosols of liposome-encapsulated clodronate. Experimental lung research. 2004 Jan 1;30(2):105-20. 23. Southam DS, Dolovich M, O’byrne PM, Inman MD. Distribution of intranasal instillations in mice: effects of volume, time, body position, and anesthesia. American Journal of Physiology-Lung Cellular and Molecular Physiology. 2002 Apr 1;282(4):L833-9. 24. Visweswaraiah A, Novotny LA, Hjemdahl-Monsen EJ, Bakaletz LO, Thanavala Y. Tracking the tissue distribution of marker dye following intranasal delivery in mice and chinchillas: a multifactorial analysis of parameters affecting nasal retention. Vaccine. 2002 Aug 19;20(25-26):3209-20. 25. Eyles JE, Williamson ED, Alpar HO. Immunological responses to nasal delivery of free and encapsulated tetanus toxoid: studies on the effect of vehicle volume. International journal of pharmaceutics. 1999 Oct 28;189(1):75-9. 26. Driscoll KE, Costa DL, Hatch G, Henderson R, Oberdorster G, Salem H, Schlesinger RB. Intratracheal instillation as an exposure technique for the evaluation of respiratory tract toxicity: uses and limitations. Toxicological Sciences. 2000 May 1;55(1):24-35. 27. Oka Y, Mitsui M, Kitahashi T, Sakamoto A, Kusuoka O, Tsunoda T, Mori T, Tsutsumi M. A reliable method for intratracheal instillation of materials to the entire lung in rats. Journal of toxicologic pathology. 2006;19(2):107-9. 28. Starcher B, Williams I. A method for intratracheal instillation of endotoxin into the lungs of mice. Laboratory animals. 1989 Jul 1;23(3):234-40. 29. Shvedova AA, Kisin ER, Mercer R, Murray AR, Johnson VJ, Potapovich AI, Tyurina YY, Gorelik O, Arepalli S, Schwegler-Berry D, Hubbs AF. Unusual inflammatory and fibrogenic pulmonary responses to single-walled carbon nanotubes in mice. American Journal of Physiology-Lung Cellular and Molecular Physiology. 2005 Nov;289(5):L698-708. 30. 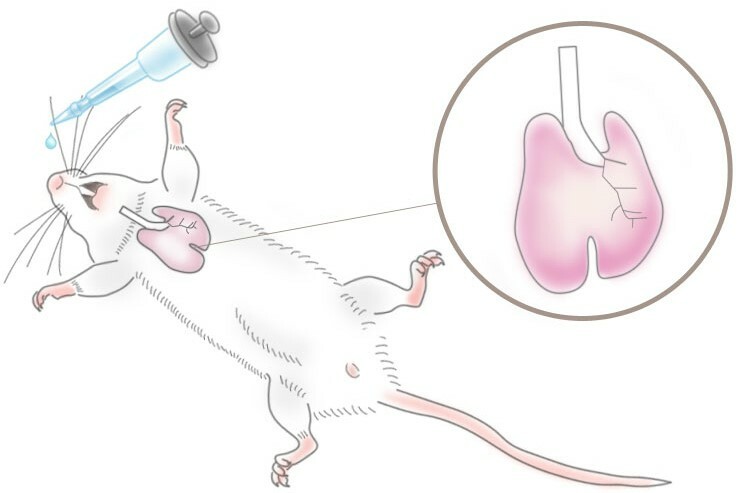 Rao GV, Tinkle S, Weissman D, Antonini J, Kashon M, Salmen R, Battelli L, Willard P, Hubbs A, Hoover M. Efficacy of a technique for exposing the mouse lung to particles aspirated from the pharynx. Journal of Toxicology and Environmental Health Part A. 2003 Jan 1;66(15-16):1441-52.